Berihurikari of Berry manufacture and deliver delicious gluten free authentic gourmet Asian curries to suit all palates. Direct from their freezer to your home or office ... the curries are all gluten free. Using local produce and fresh herbs and spices, the curries are made in a commercial kitchen located in Berry, NSW. While Berihurikari meals may be likened to take-away food in their ease of preparation, the curries are of a restaurant standard. This means that after a hard day at work Berihurikari can provide a convenient meal for the family, or a dinner party for six that takes minimum time to heat and serve. Curry varieties include chicken, lamb, beef or vegetable choices, as well as rice side dishes. The curries are available in varying heats – mild, medium and hot. 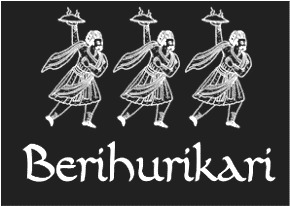 Berihurikari also offer their mouth-watering curries as fundraisers for schools, sporting and charity groups. A practical and delicious alternative to traditional fundraisers, and a worthy addition to fundraising schedules. Contact Narelle for special rates and other information. Berihurikari curries are available at various market locations and retail outlets – see the section below for details. Trade enquiries are welcome.